“The Mirror” tarot card spread is a wonderful spread that can be used to gain insight into established relationships. The spread can also be used for gaining insight into difficulties problems or difficulties concerning relationships. 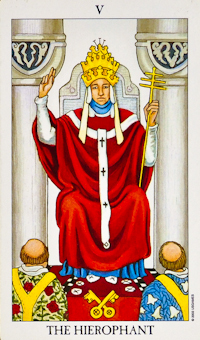 The Individual: This card represents the person who is the focus of the reading. This could be you or someone else, depending on who you focused on during the preparation phase of the reading. Your View: This card indicates the way you see the other person in the relationship. Their View: This card reveals how that person sees themselves. Inner Meaning: This card represents what the other person means to you. Reversed Meaning: This card indicates what you mean to the other person. Obstacles: This card reveals possible obstacles within the relationship. Sometimes this card will appear to be positive, but look beneath the surface for its true meaning. Strengths: This card represents the strengths of the relationship. Final Outcome: This card indicates the probable outcome provided circumstances stay as they are. This card can be changed simply by disrupting the status quo. This change could be either positive or negative. Want to gain insight into a relationship or partnership? I recommend you try the Mirror tarot card spread. In my continuous search to learn more about tarot cards and their various meanings; I found another interesting You Tube Video. The You Tube video is entitled, “Tarot Questions: Hardest Tarot Cards”, and was made by CricketSong. CricketSong hosts a website called Lunar Wisdom. To learn more about her please visit her website at http://www.lunarwisdom.net. In this video, CricketSong provides her own personal insights into interpreting some of the more difficult tarot cards. I found her interpretations to be very interesting as they added another layer of understanding to my own interpretation for reading these cards. 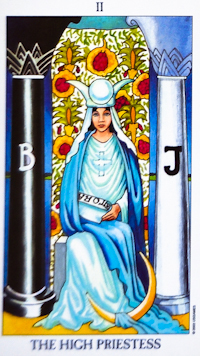 The video covers insightful interpretations for the following: Strength, Judgement, Devil, Temperance, King and Queen of Pentacles, two, three, five and seven of wands, five of swords, Wheel of Fortune, Lover’s, World, Ace of wands, cups, swords and pentacles, the Emperor, High Priestess, Hermit and Hierophant tarot cards. I hope you enjoy the video and find it to be insightful!